Posted on November 7, 2018 by Rachel Tavel in News by Rachel Tavel. Nothing ruins a good day like a pounding headache. Unfortunately, the phenomenon is quite common. Just about everyone experiences headaches at some point in their life, and according to the World Health Organization (WHO), as many as 1 in 20 adults has a headache almost every day. But what exactly is a headache? Loosely defined, a headache is any kind of pain in the head, but it can also include pain in the face or neck. There are more than 300 types of headache, if you want to get specific, varying in intensity, location, duration, and origin. Tension headaches are the most common form of headache, and most likely the one you’ll experience next. The condition can feel like a dull pressure or pounding sensation in or around the skull, and is caused by muscle tension, fatigue, stress, or all of the above. Tension headaches might have a laundry list of potential causes, but they’re often exacerbated by poor posture. Fix your posture, and you have a better chance at fighting off your head pain. There are many muscles in the head and neck that contribute to proper alignment and head position throughout the day. When that alignment is off and the deep stabilising muscles in the neck and shoulders are weak, you might see a forward head position and rounded shoulder posture — both of which contributing to unideal length tension relationships in these muscles. For the most part, the upper trap (UTs) originates from the top of the scapulae and part of the clavicle and attaches at the base of the skull. You have one on each side of your neck (right and left). The muscle’s function is to rotate and stabilise the shoulder blade while also helping to extend the neck. Due to most people’s extensive computer and phone use, the UTs can become very tight, causing tension along the muscle and at its attachment points. Fight that tension by stretching these muscles by bringing one ear down to your same side shoulder and putting gentle overpressure with the same side hand. Hold up to 30 seconds. Repeat on other side. Make sure eyes stay facing forward as you do this. The levator scapulae goes from the inner, top border of the scapulae up to the top of the cervical spine. The muscle’s job is to help rotate the shoulder blade downward. Because of the levator scapulae’s attachment points, this muscle can also contribute to stiffness and restrictions in neck and shoulder mobility and pain, creating pain and tension at the neck and shoulders. To lengthen and stretch this muscle, gently tilt the head forward and downward at about a 45-degree angle, like you’re trying to sniff your own armpit. Hold with gentle overpressure for up to 30 seconds. Repeat on other side. The pectoralis major and pectoralis minor can be major contributors to forward, rounded shoulders and weak scapular and neck muscles, so it’s critical to make sure these muscles aren’t too tight. Tight pec minors tip the shoulder blades forward into a position that limits optimal function of the shoulder and strains muscles in the upper neck and back. To stretch the pecs, try lying down on a foam roller with arms out to the sides like you’re making the letter “T”. Hold for 30 seconds, breathing into the tight spots. Then, bring elbows down and bend arms at the elbow to make a “W” with your arms. Hold this position without forcing your hands to the floor. Let gravity open up the chest. We spend so much of our day folded forward, curving the neck and shoulders into a forward C-shape as we stare down at computers and phones. This thoracic extension stretch is a great way to unfold, reversing the tensions that form when we are positioned in one way for too long. 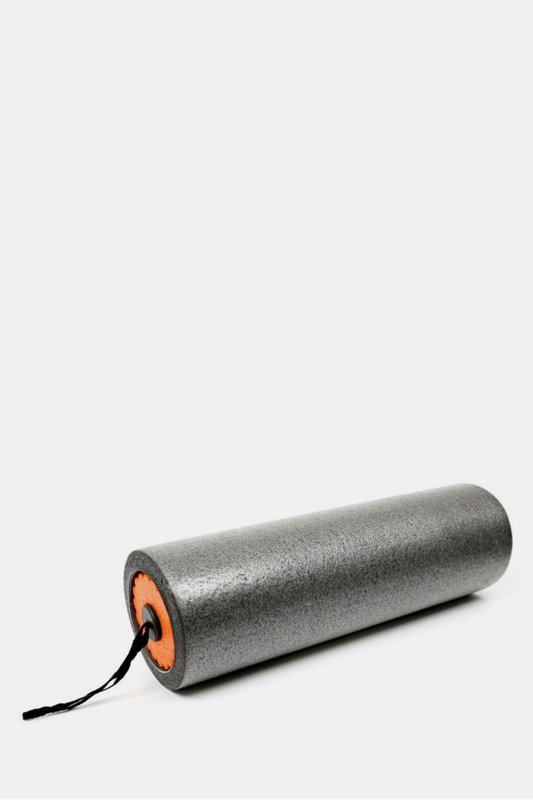 Using a foam roller positioned perpendicular to your torso, gently arch the upper back backwards over the foam roller while supporting your head with your hands. One of the most common sites for muscle tension contributing to headaches is in the suboccipital muscles, which attach at the base of the skull. These muscles contribute to stabilising and moving the head, and can become very tight and tender when the head is not optimally aligned over the neck. By palpating or touching these muscles with gentle pressure, you can promote blood flow and help release the tissue that may be contributing to tension felt in the head. Try performing a chin tuck to stretch these muscles, or place a foam roller at the base of your neck and gently roll over this area to self release on your own. The post 5 Moves That Can Help You Stop Your Tension Headaches appeared first on Men's Health.